Boris Tellegen, a.k.a. Delta (1968), is an artist who lives and works in Amsterdam. Tellegen started out as a pioneer of the European graffiti movement in 1984. Later on he graduated at the Industrial Design department of Delft University of Technology. 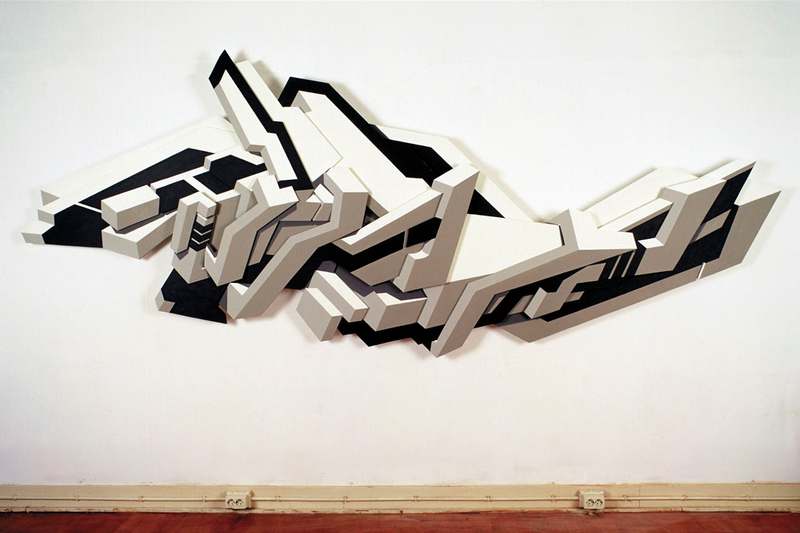 During his studies, he successfully applied 3D presentation techniques in his graffiti works, which confirmed his status as a graffiti pioneer even more. After receiving a grant from the Dutch national artist fund, he started working as a fulltime artist, making paintings, prints, sculptures and installations, which have been exhibited worldwide. In his work, the readable alias Delta has gradually disappeared during the years. The original typological spirit, however, can still be found in his clever representations of shapes, spaces and constructions.